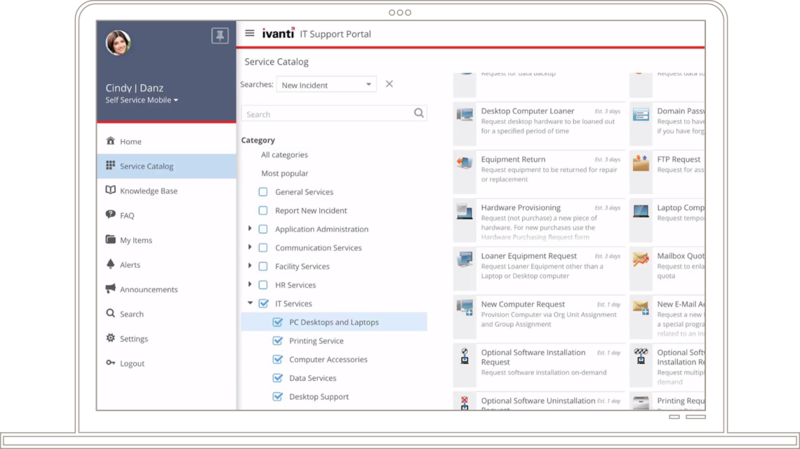 Learn how users can easily access key services. Ivanti Service Manager provides visibility and access into all service offerings for the enterprise, IT and non-IT. A web-based shopping cart outlines and defines all services and allows users to request all service offerings directly online. All service requests go through an individually configurable approval processes, turning requests into approved and documented orders. The ability to separate the creation of the forms and the workflow is one of the things about Service Catalog that is quite impressive.